Three years ago this week, my daughter Alyssa shredded her knee, severing her ACL, MCL, tearing her meniscus, and bruising everything above and below her kneecap. Through hard months of waiting, finishing the semester on crutches and a motorized scooter, surgery, PT, recovery, learning how to bear weight, learning how to dance, she persevered. Today she is again an amazing dancer. She is lovely and graceful, strong and passionate. Today she is a college graduate off on her own. So much has changed in 3 years. Two years ago this week, I fell on the steps of Elliott Hall the building where I work at Wichita State University. I tripped and sprawled on the steps on my newly healed wrists. I sacrificed my right ankle, which I badly bruised, to keep from landing fully on my hands and arms, but it hurt. It really hurt. I sat on the steps and cried, injured and afraid. I was too shaken to move as one colleague walked around me on the narrow steps, the contents of my purse and computer case strewn all over the landing. Her disregard hurt worse than the fall, her ignoring me as I cried on the steps. The Elliott School’s administrative assistant Bill, the lifeblood of the ESC, came to my rescue. I was finally able to recover my cell phone, and I called him, crying, to come help me. He did. He picked up all my stuff, helped me stand, using my elbows, so he wouldn’t hurt my wrists, and helped me to my office. Today I am at the two-thirds point of an amazing yearlong sabbatical, three months of which I spent on a writing retreat in Florence, Italy. Today my wrists are healed and I can again do hot yoga. Today I am contemplating what I want to do with the next phase of my life. So much has changed in 2 years. Six weeks ago this week, my son and I were robbed at gunpoint by a young man who kicked open our locked front door. That day I had pink highlights put in my long blonde hair. For me hair is a toy. I’d worked on my website: http://DrDeborah.co with my friend Davis. It’s still a work in progress, but that was a watershed day. I was happy and content. Then I was scared and threatened. 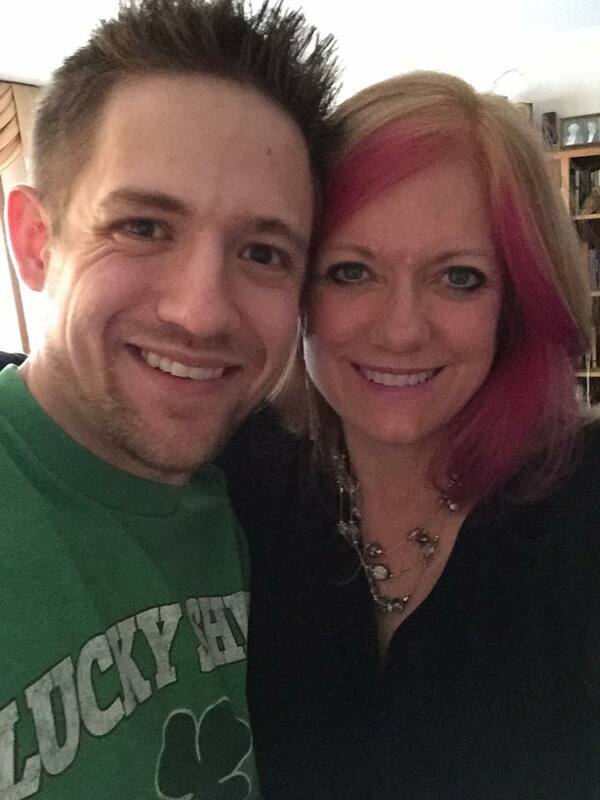 Today, I have magenta and purple highlights in my long blonde hair thanks to the talented Jessica, and my son Stefan and I have moved into a new apartment, a lovely apartment. We are moving on with our lives. So much has changed in six weeks. Time is an interesting thing. In the middle of rough moments it seems to stop, then drags so slowly when it finally begins to move again. In the beautiful, life affirming moments, time often moves so quickly. Time, as the cliché says, also heals. This week has led me to reflect on the past, something I don’t do often, to examine the path that got me, that got my son and daughter, to where we are today. These events are simply a small part of our journeys. I believe we have a choice about how we view the happenings in our lives. We can choose to view things as crises or adventures. As I reflect back on those three events and the emotions they raised, the ups and downs of negotiating them, I recognize our choices. None of us would describe ourselves as victims. We simply do not view things as crises. We are optimists. We do what needs to be done. We deal with what needs to be dealt with and we move forward. We learn and grow from our experiences. We are stronger, as are my wrists, because of these events. We see the world differently than we did before, because of the events of this week over the last three years. I am inspired by the words of Anne Lamott on Facebook. Yesterday she wrote , “Life is a precious unfathomably beautiful gift; and it is impossible here, on the incarnational side of things”. 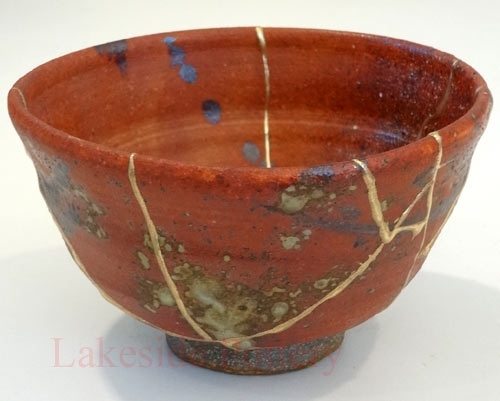 I am inspired by Japanese Kintsugi pottery, the art of reassembling, of repairing, broken pottery with gold. We are each like a precious piece of pottery. The world tosses us about, breaks, chips, and often shatters us. We reassemble ourselves , often with the help of those who love us. We are remade, more unique, more different, more precious than we were before. As many of you know, my son Stefan and I recently received a life lesson from a gun wielding home invader. Many people have asked for my story, so I’ll share it here. Tuesday, February 24th had been a really awesome day. I’d gotten gorgeous pink highlights in my hair done by the wonderful Jessica Shoenhofer. I’d spend 3 hours working with my friend Davis Sickmon on my website: www.DrDeborah.co. I was excited about how it was coming along. Stefan had gotten a haircut and was feeling better after his back injury several weeks before and his WSU classes were going well. I was excited to see him at the end of the day and share our stories. I drove home, first singing along with the Pippin soundtrack playing in my car, then checking in with my friend Andrew on the phone. I was in a fabulous mood. I pulled into the driveway, flicking the button to open the garage door, pulled into the garage, shutting the door behind me. I got off the phone, got out of my car, unlocked the back door to the house, entered, dropped my purse on the floor of the mud room and called for my son. Stefan called back. He was in the kitchen making peanut butter and jelly sandwiches. I entered the kitchen carrying my computer bag and dropped it on a chair at the table. Stefan and I talked about his sandwiches and my website, laughing and smiling. Then we heard an ear splitting crash, followed by a second crash. We looked at one another, startled and headed to the living room. Stefan was ahead of me rounding the corner. He turned around quickly saying “He’s got a gun”. We both moved back into the kitchen on either side of the table and the gunmen entered, his gun in his left hand out in front of him, pointing toward us. He pointed it at Stefan first, then me and demanded my bag. I picked up my computer bag and handed it to him, my right hand to his. I raised my hands. He took my bag and I told him to just take it and go. He waived his gun back and forth as he backed away telling us to stay in the kitchen. I told him it was all good and we weren’t going anywhere. As he rounded the corner, he told us that if we called the police, he’d come back and kill us. Then he left running. I was aware of several things: 1) He wasn’t wearing a mask or covering his face in any way and the hood of his grey hoodie was back. I remember thinking, he has a reason to shoot me. I’d seen his face. So, I forgot what he looked like. (I will remember!) 2) When he asked for my bag I had this quick, smug insight that he thought my computer bag was my purse and that it was safely behind me in the mud room. It was a gift from my daughter and I was happy not to lose it. 3) For a split second he looked at my hands, raised. I wear a lot of rings, but he couldn’t really see them as my hands were up, facing him. I remember thinking, please don’t notice my rings. I only wear rings that mean something to me. I would have hated to lose them. I felt like Obi-Wan Kenobi. “These rings are nothing. You have what you came for. Leave now.” I thought. 4) I was amazingly calm. I could tell he was scared and my immediate goal became to get him out of the house as quickly and smoothly as possible. I didn’t even think this. I knew it. 5) My communication skills training kicked in without a beat. I wanted to appear cooperative and nonthreatening. 6) I felt the solidarity between Stefan and me. I saw us as surrounded by white light, the invader, like Pigpen from the Peanuts cartoons, preceded and surrounded by a grey dust cloud. 6) I thought that he, the invader, was new, scared, hadn’t done this before. I was worried that he might panic, but also glad that I might be able to get him to leave quickly. I wondered if this was a gang initiation. After he ran out, Stefan ran after him and slammed the door. Then, I lost it. I mean I REALLY LOST IT! I have never had a panic attack before and I was crying, shaking, and hyperventilating. I was terrified. Stefan got me a chair, which we used to block the broken door, told me to sit down, and told me to call my friend Andrew. I couldn’t speak clearly. I was shaking and sobbing. Andrew asked if we’d called 911. I remember saying “Yeah, right, call 911. That’s what I’m supposed to do. Call 911.” I hung up and called 911. I couldn’t remember anything. I couldn’t answer any question the kind, steady, female operator asked me. She stayed with me on the phone until the police arrived. Stefan made me move back toward the middle of the house to talk with her, reminding me that the gunman had said he’d kill us if we called the police. I moved back, but never let Stefan out of my sight. He was so calm and composed. He answered all the questions the operator, and then the police asked when they arrived. I was still in shock and could remember very little. I was amazed at Stefan’s poise and presence, his ability to remember details I had blocked. My friend Andrew soon arrived and when the police and the crime scene investigators were done, we grabbed bags and headed to his house. His sons waiting for us, had already made a place for Stefan and his computer in their game room. They all welcomed us with open arms. They made us feel safe. I will never be able to express my gratitude. There have been good and bad days over the last several weeks. We both went to see a crisis counselor. That at least helped us know that what we were experiencing was normal and what we might expect over the next several weeks. I was supposed to leave the day after the invasion to visit Alyssa in Las Vegas, but I couldn’t leave. I had to feel safe first. I had to get my feet back under me. I will finally go to see her next week. Stefan and I have found a new place to live with better security. We’re getting back to normal. I wouldn’t say we’re thriving yet. Our biggest hurdle is packing our house to move. I still get tightness in my chest whenever I go there and the idea of spending hours there packing is almost more than I can stand. That said, that part will all be over soon. We are moving forward!